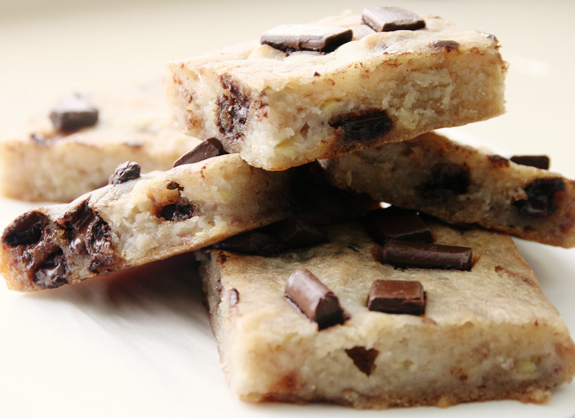 1/2 c. chocolate chips (Enjoy Life are gluten, dairy, soy, nut -free). If walnuts weren't an issue for me, I would have added 1/2 C. of those as well. Line a 9x9 square cake pan with parchment paper. Set aside. In a bowl, mix flour, baking soda, baking powder, and salt. In a separate bowl, mash bananas and stir in oil, water, and vanilla until well blended. Make a well in dry ingredients and pour in wet mixture. Stir until just blended. 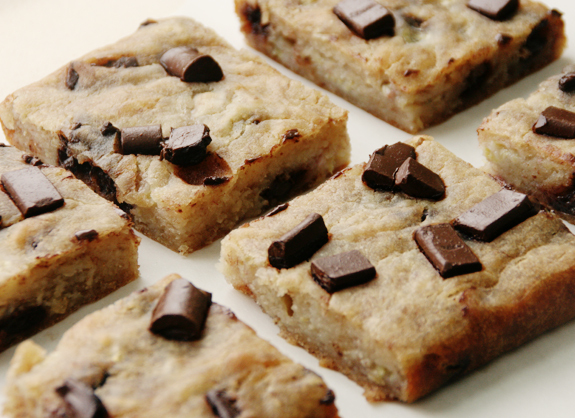 Add in chocolate chips and give it one last toss. Pour into prepared cake sheet. Bake 40 min, or until toothpick comes out clean.